Alkitabku Plus v1.0.3 – Alkitabku Plus is a paid version of the popular Alkitabku FREE for BlackBerry app. Available in 2 languages, English and Bahasa Indonesia. 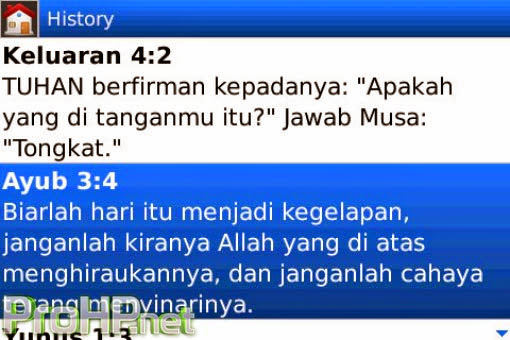 – For Indonesian Bible, each chapters has pericope. Come with nice graphical interface and easy verse search, also user can bookmark verse, search Bible content and customize the Bible appearance such as the font type and size.